Well, this is an unexpected but much-needed collaboration. 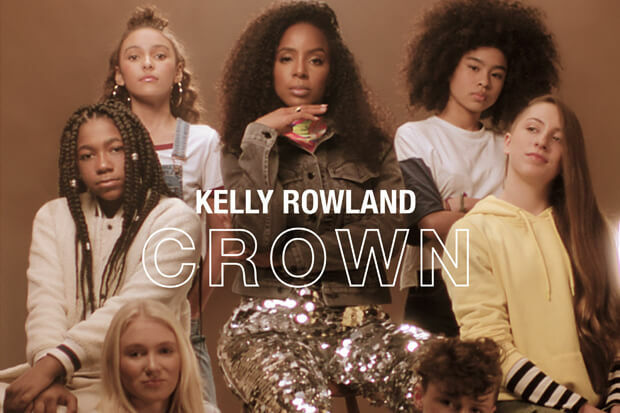 Today (February 6), Kelly Rowland partnered with iconic soap brand Dove to drop her empowering new single “Crown.” The anthem is part of a new campaign meant to encourage girls and women to feel confident about their hair and to take a crack at society’s narrow standards of beauty. “It don’t matter how I wear it. It’s beautiful in every color. Long, short, straight or curly, I love what I see in the mirror,” the 37-year-old chants. That’s not all, though. She also dropped the Hannah Lux Davis-directed video. In it, she links up with a group of girls who opened up about their experiences being bullied or mistreated because of their hair. Watch Kelly in action in the video and give the single a spin below! Do you love the collaboration? Let us know below, or by hitting us up on Facebook and Twitter!